Superdry men's Superdry Grade embossed crew jumper. 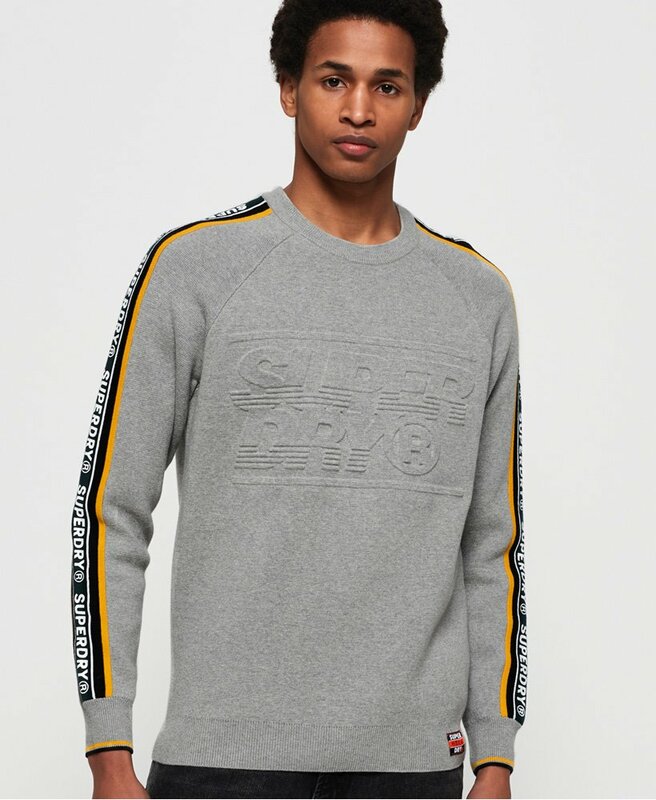 This crew neck jumper features an embossed Superdry logo across the chest, striped design down the sleeves and ribbed cuffs and hem. Completed with a Superdry logo badge above the hem. Perfect for pairing with jeans and trainers this season.